How can it be Week #6 already? Didn't we just start school yesterday? (And yet, in some ways it feels like we've been back forever!!) 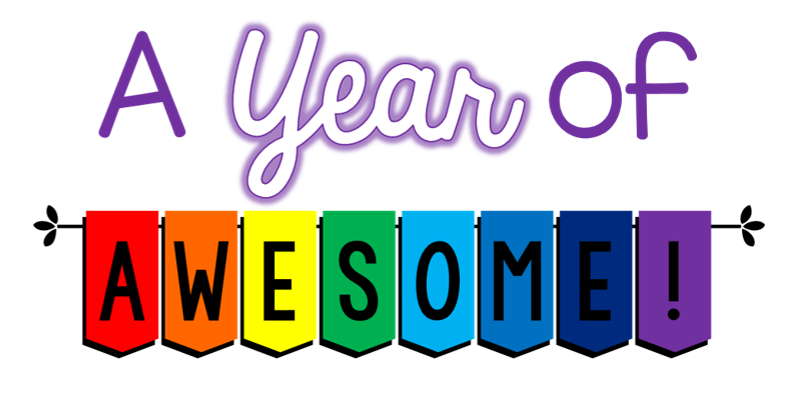 I'm thrilled to have another week of awesome moments to share with you! This has to be one of my best ideas... I love forcing myself to find the jewels in each school day! These are some of the highlights of my week in the classroom. I hope that you'll consider sharing some of your own by commenting below or linking up! Our first rainy indoor day of the school year. And it has to be on a Monday?! Yuck! Good thing for the SMART Board and GoNoodle!! Don't know what I'd do without them! 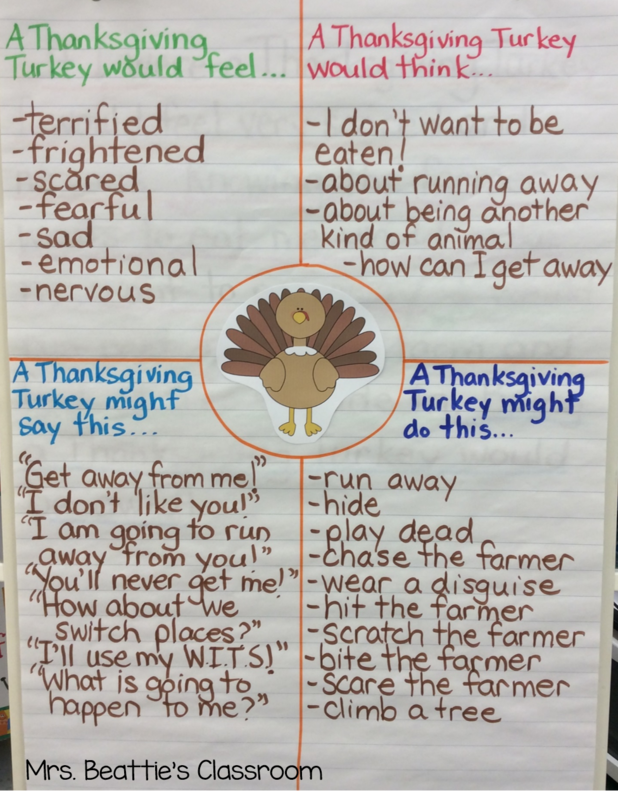 Today we began our "If I Were a Thanksgiving Turkey..." activities! 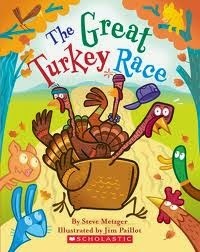 Like last year, I started by reading the fun story The Great Turkey Race by Steve Metzger. All of the students were SOOO motivated to write after this that we had to push Read to Self to the end of our literacy block! I can't wait to get them finished and the turkey art on the go!! Today one of my students reached the "Top of the Chart" on our behavior clip chart today!! He was our first of the year and soooo very proud. 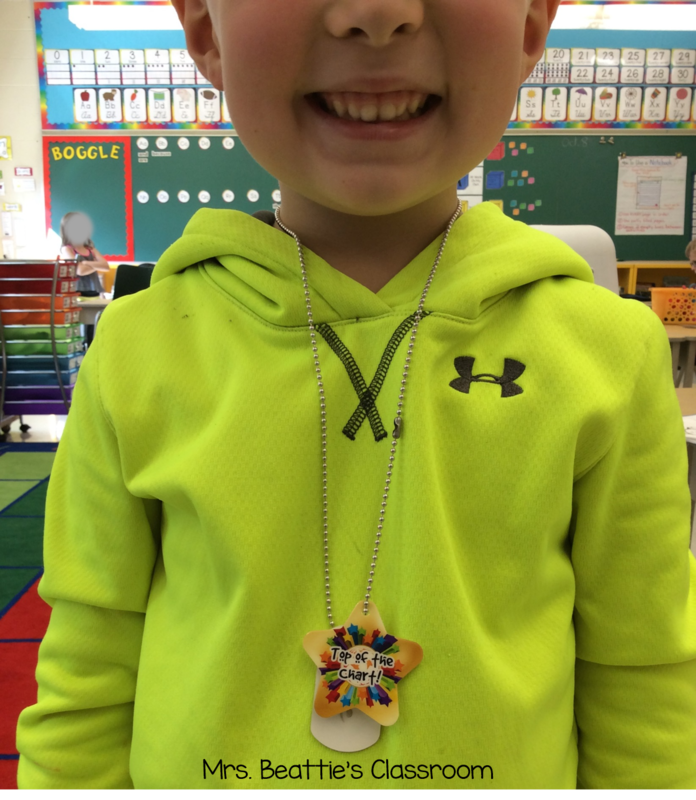 The other students in the class cheered for him when he got his new Brag Tag! AWESOME! Lots of ups and downs on this Thursday. There were some challenging moments, and some shining ones throughout the day. I recognized a couple of my students for the awesome effort they've been putting into their XtraMath practice each day. They both got a new Brag Tag for their chain. 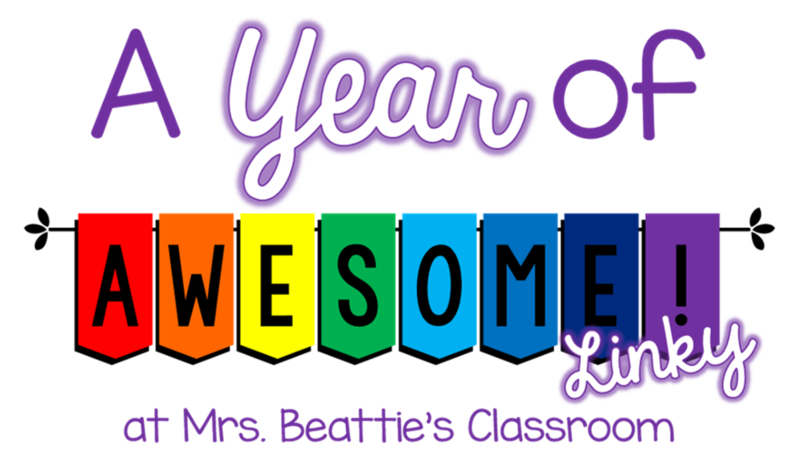 The true gem in my day was receiving a note from a mother in her child's agenda: "...He is lucky to have you, you make school a better place for him." Those words touched me to the core. AWESOME. Today I had the awesome opportunity to network with colleagues for half the day. We were following-up on a meeting we had in the spring about assessment and effective feedback. 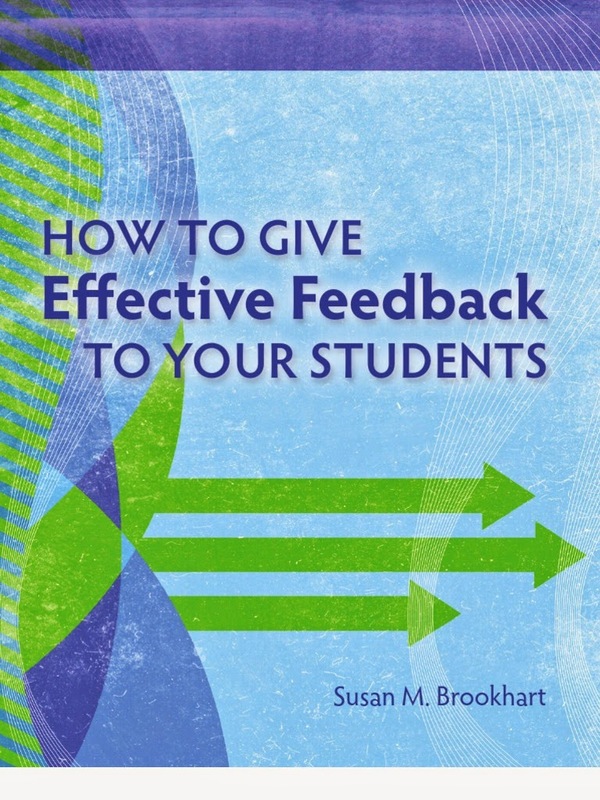 We discussed how current research is supporting a shift away from assigning grades to student work on a regular basis, and how providing effective feedback engages students in the learning, and gives them the tools and motivation to grow and progress. I purchased this book a couple of years ago and found that it had some interesting ideas. I'd love to hear your thoughts on this trend. Leave me a comment below! 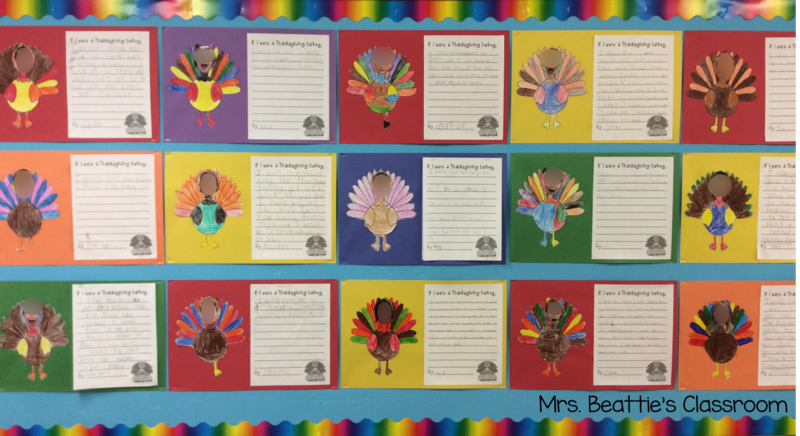 We also finished our Thanksgiving turkeys today, and got our writing and art up on the bulletin board!